Just doing a quick check in to keep up with my promise last post to try and update more. So far things are going at a pretty good clip. I’ve added a WiP tracker, and a section for my upcoming cons and other events. In non-blog news, I’m traveling this week, so there might be some winter wonderland type photos on my twitter soon. Once I get back, I’m going to post my review of Tak. (Short version: It’s a hell of a game and you should play it) and maybe one of Wizard Dodgeball too. 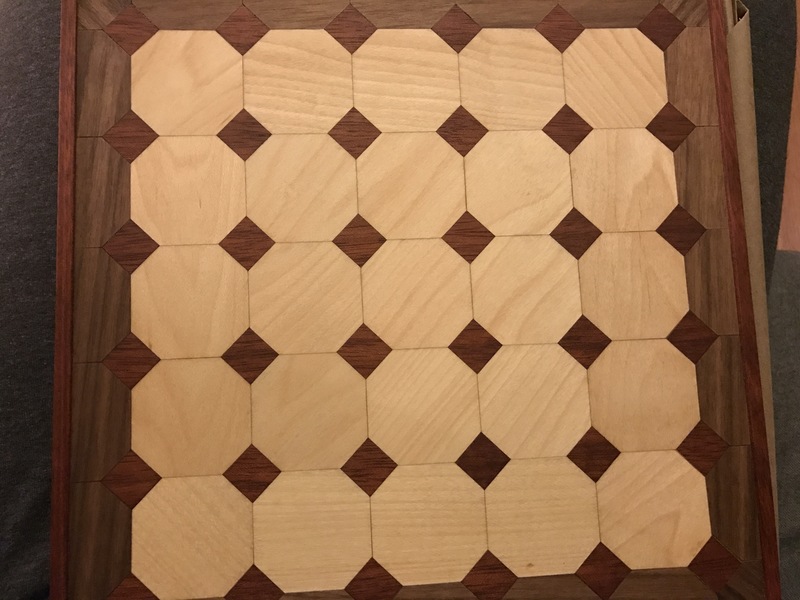 For now, here’s a photo of the lovely Tak board from Wyrmwood.